We’ll take a visit out to Epcot to check in on this year’s Holidays Around the World Marketplace offerings. In what “feels” like a concerted effort to turn Epcot into one giant all year Food and Wine Festival, Disney has re-purposed about a half dozen of its Food/Wine Booths into Festival Marketplaces for the holidays. This one here is called “Feast of the Three Kings” and would have been the Islands of the Caribbean booth from mid-September through mid-November. You probably saw that the Food and Wine Festival starts on August 31st next year, which is a solid three weeks earlier than it would have started three years ago. That’s in addition to next year’s new “Epcot International Festival of the Arts,” which is scheduled over six weekends from January 13th through February 20th. More details on that are available here. But unlike Food/Wine/Flower/Garden, the servings for the Holidays are “full size” portions, which means the beers are 16 ounces and the entrees are quite substantial. This posed a bit of a dilemma for your resident reviewbro. Food and Wine might be on the expensive side, but each Marketplace typically offers just two or three “tasting portions” and it isn’t so difficult for a couple of pretty chill guys (and Bricker) to move through five or six of these without much trouble over the span of a couple of hours. And then on top of that, the shelf life for these Marketplaces is only about six weeks, compared to nearly three months for Food/Wine. Here for the Holidays, this is a stupid amount of food. I realize that it’s not very obvious because the tray is so much larger, but this easily weighed over a pound with several slices of thick turkey in between two dense slabs of stuffing. It tasted great, but most people are going to be hard pressed to finish it. But I did my best and at a minimum, we can check out some menus and a few things. Let’s see what we’ve got. We’ll make our usual counterclockwise rotation around World Showcase, beginning with Festival of the Three Kings. And while we will be relying on these pictures provided by Disney for some items, right off the bat we appear to have a picture of something that isn’t actually on the menu in the Roasted Pork. Note what appears to be a lot of sliced olives, red peppers, and onions. This is the $10.75 Roasted Pork with Mashed Yucca and Pickled Green Bananas. The pork was juicy and flavorful with a distinct island vibe on top of the creamy mashed yucca, which adds even more heft to the dish. I’m not sure anybody has ever served me a pickled banana before – these are brined in vinegar along with green olives, onions, and some other spices. The picture at the kiosk is probably another prototype of the dish that included some of those same green olives sprinkled on top. Anyway, the escabeche creates a pretty complex flavor profile that’s tart at first before giving way to the natural sweetness of the banana. The dedicated standing area is located across the way – Disney has pulled virtually all of the other tables that permeate World Showcase during Food/Wine, making it sometimes difficult to find someplace to put your food down. That is one of the deterring factors in trying one of these booths. The food might be “better,” but the overall experience may be lesser as you won’t have the opportunity to enjoy a fuller dining experience. I ended up walking my Prost! Sauerbraten all the way to Lotus Blossom Cafe in China. I know it’s a rough life. That’s the $12 Shredded Beef Tamale with Avocado Crema and Cilantro Rice on the right. This is another sizable portion. I will admit my own bias in that I am not historically a tamale person or a corn tortilla person in general, but this was executed well, albeit perhaps with less beef than I would have liked. The tamale has the usual crumbly masa exterior with a distinct corn flavor, but what really livens up the flavor profile is the avocado crema, which is avocado mixed with Greek yogurt, lime juice, and salt. The acidity of the lime is a lot more present than your typical, thicker guacamole, and the natural, bold flavor of the bright green fruit really shows through. You’ve also got some corn, onion, and queso chihuahua, which is the soft mild white cheddar on top. The rice was take it or leave it, but it does a nice job of soaking up some of the flavors from the tamale. Overall, it was better than anything you’ll find at La Cantina de San Angel and if you’re in the mood for something Mexican, would be a good choice. The $3.50 Three Kings Bread was another winner. Also known as Rosca (or roscon) de reyes, I was mildly “fearful” that this king cake was going to be a dense bread-athon, but this was light and fluffy with a mildly sweet cake base that is further enhanced by the frosting on top. There’s a little bit of cinnamon in there along with some nutmeg, sugar, and butter. I thought it was a nice treat even before January 6th and would recommend adding it to an order if you stop here. There’s typically nobody in any of these lines, so it’s a quick stop even if you’re just after one item, unlike a Saturday afternoon during Food and Wine. You would think they would offer some context to the $9 Coquito with an Oak & Palm Spiced Rum Floater ($4 without the rum). This is otherwise just about what it sounds like – coconut based with cinnamon, cloves, vanilla, condensed milk, and the spiced rum from the local St Pete Distillery. For nine bucks, the portion is awfully small – these cups hold about four ounces total, leaving little room for the rum or anything else for that matter. But the cinnamon and clove give it a very holiday-y flavor that was creamy and easy to drink. We liked it. Overall, I thought Feast of the Three Kings impressed on quality and value. You will probably like the tamale more than I did and the roast pork is a tremendous amount of food for the money – easily five times a $5 Food and Wine portion. The Three Kings Cake is perhaps not novel enough to demand a purchase, but it should still satisfy and the price isn’t terrible. The drinks are a bit iffier, but you can’t do much better. Shipyard will always be a Maine brewery to me, even if they moved part of their operation to Scientology, Florida. If you’re after turkey, I’d hold off for the version served at the United States Pavilion. It’s $2.25 more for way more food along with the side of green beans and fried onions. Just in case you’re unfamiliar with where we’re at. As in past years, Refreshment Port adds the Godiva Hot Cocoa for $9.50, but not some of the other drinks. Don’t sleep on that Croissant Doughnut if you’ve never tried one. While not technically part of the whole Marketplace thing, I was interested in trying the Chilled Maple Cafe from Canada Cart – Joffery’s [sic] “Le Cellier Blend” Coffee with Brown Jug Maple Bourbon Cream Liqueur and topped with ExlPure Maple Cotton Candy. Like most World Showcase cocktails, the drink was premixed and served out of a jug that had been chilling in the ice box. But for about the same money as the Coquito, it was a larger serving of incredibly refreshing iced coffee with a lingering maple sweetness from the liqueur. The 100% pure maple syrup cotton candy is actually sold in small containers, but Disney unfortunately is not stocking them in the store (yet?) – I would have loved to pick up a container. It was very sweet and natural tasting with a lovely soft texture. Overall, I enjoyed this a lot, but don’t expect to get much of a buzz from it. There’s not a lot of alcohol involved and it’s low ABV. It’s a bit of a hike to the next Marketplace, which is located in between France and Morocco where the Brazil/Belgium booths reside for Food/Wine. The good news is that we have a number of tables in the vicinity and Tangierine Cafe is only a hop, skip, and jump away. Be careful with that fondue though. The pictures are at least accurate. I would just ask for the “vite vine” instead of trying to go all out with the Weingut Stadt Krems Gruner Veltliner. The Cheese Fondue in a Bread Bowl served with Steamed Vegetables — $8 is probably also a larger portion than the picture insinuates. And if I was a betting man (Washington +16.5), I’d wager that this is the same recipe as they served at the Cheese Studio at the 2015 Food and Wine Festival in a much larger portion. It was sort of awkward to eat the fondue in the bread bowl – there were only a couple of pieces of bread from the top of the loaf for dipping along with “literally” two thin slices of carrot and three small potatoes, in addition to what we considered to be a couple of inedible slices of slimy zucchini. From there, you’re either tearing the bread off as the fondue gets lower in the “bowl” or cutting it up while trying to reduce spillage. But the fondue is cheesy, creamy, and flavorful with a distant hint of white wine. It’s also pretty shareable and at $8, a good value for an item that will only taste better as temperatures cool. Recommended overall. We also tried the rather crazily priced $10.75 Chocolate Apple Shake featuring Twinings of London Winter Spice Tea and Barenjager Honey Liqueur. Barenjager, here pictured on my kitchen counter, is a pretty thick German liqueur that tastes very strongly of sweet honey that typically overpowers anything that’s it’s mixed with. To a point, that is a problem with the Apple Shake, but the flavors from the Twinings Spice Tea are almost as bold and they combine to form a refreshing, spicy, winter-y cocktail that is really quite good after a serious stir. But it is on the strong side and the flavor is only punctuated by the spiciness. Overall, it’s one of the better serious cocktails at the event, but those that prefer the frozen drinks from France should probably look elsewhere. I thought the first two booths we tried impressed, offering better food than most regular quick service outlets at fair prices. The cocktails and beers for the most part are also unique and well thought out. I’m not sure you’re ever going to see that Shipyard on draft anywhere else, while the Presidente is perhaps better skipped. Part 2 is going to be less optimistic as we had much poorer luck at the upcoming kiosks. One of the problems at these Festivals is that you just don’t know how fresh anything is going to be. So while I might say that we were served a piping hot, freshly prepared dish that had just come out of the kitchen, what you’re served could just as easily be sitting there for an hour. The Marketplaces make Flower and Garden seem popular, perhaps because people are unfamiliar with what’s offered or confused by the high price points compared to other Festivals. One thing you can do is hold off on ordering for a moment until someone else orders the plate that’s been sitting underneath the warmer for a while. Once they start plating dishes fresh again, sneak in line and pick up something that should taste better. I am not familiar with that expression. Does that mean you recommend the Croissant Doughnut? LOL! I was thinking it was a typo for “don’t skip” . 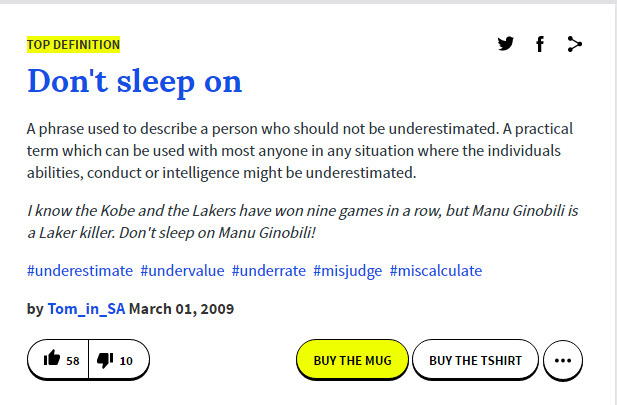 . .
Hmmmmmmm yes, basically “don’t underestimate” as described here on Urban Dictionary: http://i.imgur.com/DZQpTmM.jpg. I was actually surprised these were “full sizes”. The purpose of these booths for my husband and I has always been to sample the tasting portions while going to each booth, getting a sample of food and some type of drink. There is no way possible to have done that on one day with these sizes. I would think they would benefit more from people doing that same thing, and paying slightly less for each portion than visiting one booth and being full, but then again who knows. We were at Epcot 4 of the days between 11/18 and 11/28 and even with high crowds these booths were walk ups. Were I a Disney chef, my sole aim in life would be to get the ‘piping-hot’ nod from Josh. It’s so weird to see the Stadt Krems Grüner Veltliner on that sign… it’s one of my favourite wines and I buy it here in Germany all the time! The only thing I want for Christmas is to have the Cheese Fondue become a permanent kiosk item. I have fond memories of the raclette in Norway during the early days of Food and Wine. I would say it is a good thing that Josh isn’t a betting man- RTR! Have you reviewed the Shipyard Cinnamon Bun Nut Brown Ale? Sounds interesting but not gonna track it down if the dog also rejects it. Seems like they are trying to boost September attendance a little by Food and Wine starting before Labor day. Sometimes when you refer to ‘Bricker’, I can’t tell if you’re talking about your camera or the guy who runs the Tokyo Disney blog.